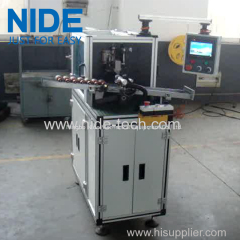 Armature production line is used to produce armatures. 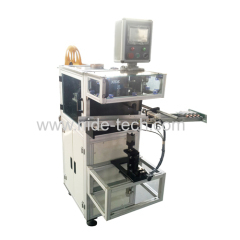 All the process will be done by machine automatically. 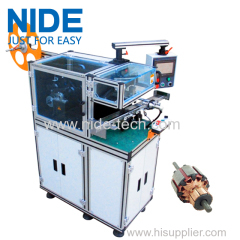 The inslot winding machine is suitable for stator with outside dimension less than 260mm, and wire diameter within 0.15~1.5mm. 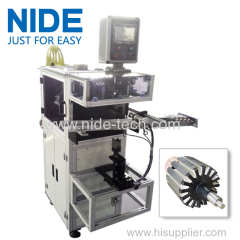 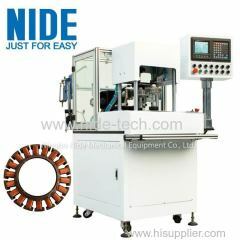 This machine is suitable for armature OD 20-60mm. 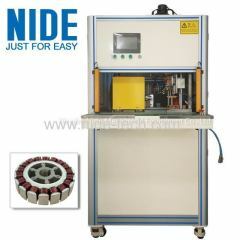 It can automatically cut and insert insulation paper into armature slot. 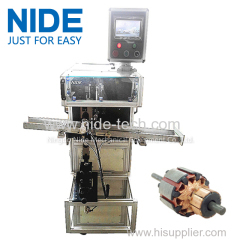 This rotor paper insulating machine is used to insert insulation paper into armature core. 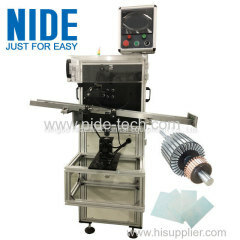 The Machine will cut, form, and insert paper automatically. 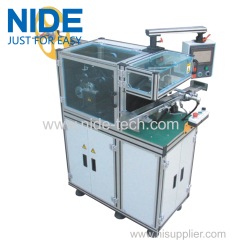 This armature paper inserting machine is used to insert the insulation paper into armature slot before armature doing coil winding. 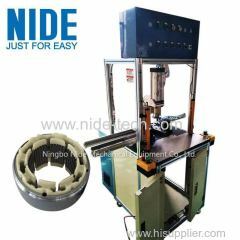 1.Used for motor armture rotor which slot number is 8-24 slots. 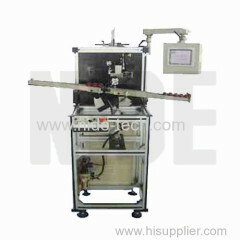 3.Speed of the slot paper inserting is 0.5s~0.8s/slot. 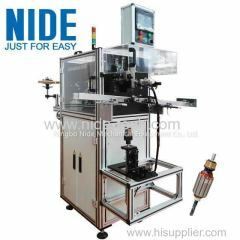 The armature insulation paper inserting machine is suitable for 3 shifts continuous production, automatically loading and unloading armatures. 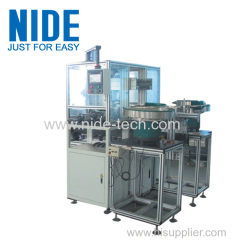 1.Manual loading, automatic unloading, can be connected to automatic lines. 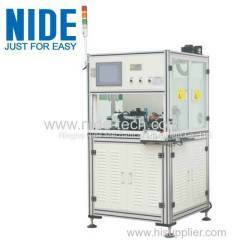 3. pressure reducing valve, pressure is adjustable. 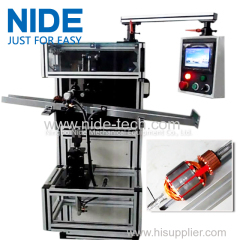 The BLDC external rotor hot staking machine is suitable for BLDC motor external rotor, outer armature , ceiling fan motor, balance scooter motor etc. 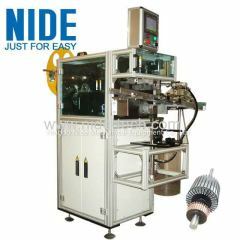 Group of Armature winding line has been presented above, want more	Armature winding line and rotor assembly line, Please Contact Us.